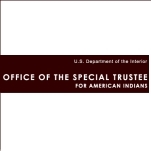 The Office of the Special Trustee for American Indians was set up to oversee and reform management and accountability of policies and practices regarding Indian funds held in trust by the Federal Government. Then two years after it was created, a Native American woman, Elouise Cobell, filed a class-action lawsuit claiming that potentially billions of dollars, held since the late 1800s in trust for hundreds of thousands of Indians, were accounted for improperly. Her case has not yet been resolved. The man has headed OST since 2003, Ross Swimmer, was Assistant Secretary for Indian Affairs during the Reagan administration, and at that time advocated eliminating the Bureau of Indian Affairs (BIA). OST was established by the American Indian Trust Fund Management Reform Act of 1994 (Public Law 103-412), which addressed the fiduciary responsibilities of the United States toward Native Americans. It decreed the need for more effective management of their funds held in trust by the government, and that the OST should remain in existence until the Special Trustee who heads it is satisfied that all trust reforms have been accomplished. In 1996 the Secretary of the Interior ordered that the responsibility for trust fund management and preparation of financial statements for tribal and Indian Money Account funds (IIM) still being shepherded by the BIA be transferred to OST. Since then, OST has prepared, and independent public accountants have audited, yearly financial statements of the Indian Trust funds. Also in 1996, Elouise Cobell, a banker from the Blackfoot Nation, filed a class-action lawsuit now called Cobell vs. Kempthorne (previously Cobell vs. Norton and Covell vs. Babbit), claiming that the government had, since late in the 19th century, incorrectly accounted trusts it had held for hundreds of thousands of Indians, and that proper accounting would show that the government owed them billions of dollars. This led to a massive investigation, at a projected cost of more than $250 million, to aim by 2011 to have reconciled the figures and reformed the entire accounting process. In March 2007, the White House offered a total of $7 billion over 10 years to settle individual and tribal claims, pay for a computer security upgrade, and extinguish the suit, as well as prohibit any future litigation on the subject. The plaintiffs did not agree to the settlement, and on January 30, 2008, a federal judge ruled it would be “impossible” to ever produce reliable information from all those years back. OST manages approximately $2.5 billion in tribal funds and more than $400 million in Individual Indian Money (IIM) Accounts. - For more than 315 tribes, it handles nearly $460 million in annual receipts, from judgment awards, settlements, use of tribal resources, and interest earned, in more than 1,400 accounts. - For Native American trust beneficiaries, it issues more than 513,000 checks per year; handles approximately 32,400 trust transactions per day, adding up to more than $8 million annually; and is involved with over $330 million in yearly receipts from leases, use permits, land sales and interest on deposited funds for over 285,000 IIM accounts. It is entrusted with protecting and preserving the IIM assets, and collecting and accurately accounting for income due, in a timely manner. In addition, it is responsible for Indian land valuations, making estimates of market value for real property interests on land owned in trust or restricted status. It also operates a toll-free Trust Beneficiary Call Center, and oversees the storage facility for all inactive Indian records in Lenexa, Kansas, as well as a records management and archival certificate training program at Haskell Indian Nations University in Lawrence, Kansas. Is OST Holding Money For You? Hello All, Two attorneys in Flandreau SD have intentionally betrayed myself, my brother and both my deceased parents. John Schaeffer and Lori Stanton have conspired with other authorities including Ken James, his crony police officers and my own so called tribal officials to separate and eliminate me from my own parents in their time of need. I want these two attorneys and their cohorts exposed for the inexplicable pain/suffering and damage they have effected me and my family. The step brothers and sisters are in on this whole nightmare too. I knew the day they all set foot in our house was the day all trouble began for my parents' marriage not to mention for me and my brothers lives. Two wills were made out for my parents which the two lawyers now dispute that they had never made out the two wills. They are all dishonest and the two attorneys should be disbarred or something. I have written to the SD State Bar Assoc. and they have done nothing. They have not even responded to my allegation. My complaint is true yet no one will take notice of this truly violation of my parents and my civil rights. I have contacted many political authorities, their departments, their bureaus, their agencies, their officers and none not one have responded to me. WHY? I RECEIVED A CHECK TODAY FROM THE OFFICE OF THE SPECIAL TRUSTEE FOR AMERICAN INDIANS FOR 1,000.00. I DO NOT KNOW WHY I RECEIVED THIS BUT ANY ANSWER WILL BE HELPFUL OR A PHONE NUMBER. I was looking for a case I thought it was Ellery Verses Swimmer concerning Certificate Degree of Indian Blood - where the it can't be lowered. Could you provide a resource please. Also for my research if individuals have blood quatum thats been icorrect through negligent recording keeping - are they entitled to back per caps.? Respectfully Steven J Murphy- I'm not an enrolled member in any Native American Tribe. On September 21, President Barack Obama announced Vincent Logan, a member of the Osage Nation of Oklahoma, as his nominee for Special Trustee for American Indians. The Office of Special Trustee (OST) is an agency within the Department of the Interior established in 1994 to oversee and reform management and accountability of policies and practices regarding about $3.7 billion of Indian funds held in trust by the Federal Government. The position has been vacant since Ross Swimmer, a member of the Cherokee Nation who held the post for nearly six years, resigned in January 2009. If confirmed by the Senate, Logan would be just the fourth person to lead OST and only the second tribal member. Born circa 1957 and raised in Norman, Oklahoma, Vincent Garfield Logan earned a B.S. in Political Science at Oklahoma State University in 1979, and a J.D. at the University of Oklahoma College of Law in 1983. Relocating to New York in 1986, Logan attended Columbia University’s School of International and Public Affairs. Logan practiced law in the Antitrust Division at the United States Department of Justice from 1996 to 1998, and as a corporate finance attorney for Schulte, Roth, & Zabel from June 2001 to February 2006. Shifting gears, Logan worked as a “Private Wealth Associate” in the Private Banking and Investment Group at Merrill Lynch from March 2006 to March 2009, when Merrill Lynch, a casualty of the 2008 financial crisis, was taken over by Bank of America. Undaunted, Logan founded his own firm, The Nations Group, LLC, which works with Native American tribes on asset management, investment strategies, and financial education. Logan was appointed to the Oklahoma State University Foundation Board of Governors in September 2010. Ross Swimmer, a member of the Cherokee Nation, the second largest Indian tribe in the U.S., was named the Special Trustee for American Indians on April 17, 2003. He received both his BA and Juris Doctor degrees from Oklahoma University, and since then has had legal and consulting practices in Oklahoma, and served as President of a bank and of a manufacturing company owned by the Cherokee Nation. In 1975, Swimmer became the Cherokee Nation’s Principal Chief, serving three successive terms until resigning in 1985 to accept President Reagan’s appointment to the position of Assistant Secretary, Indian Affairs. He was there for the next three years, during which he advocated eliminating the Bureau of Indian Affairs. From 1995 until 2001 Swimmer was President of the Cherokee Group, L.L.C., a consulting firm that represents Indian clients engaged in government issues, and which is a strong supporter of the development of businesses on Indian lands. 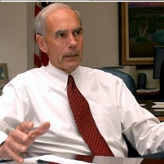 In 2001, Swimmer became Director of the Office of Indian Trust Transition, where he remained until he was chosen by President Bush for his current position. Swimmer has also been the Co-Chairman of the Presidential Commission on Indian Reservation Economies, and Chairman of the White House Conference on Indian Education. Swimmer has contributed to the political campaigns of both Republicans and Democrats.